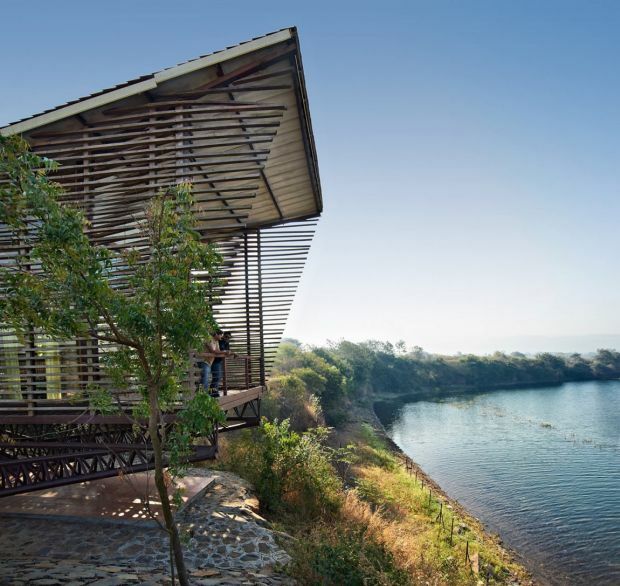 Design Workshop is the firm that should be credited for the clever design of this little wood and glass home, just on the brink of water, taking advantage of a whole lot of view. 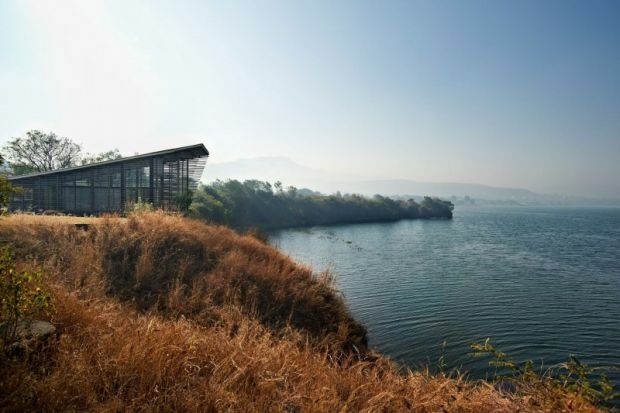 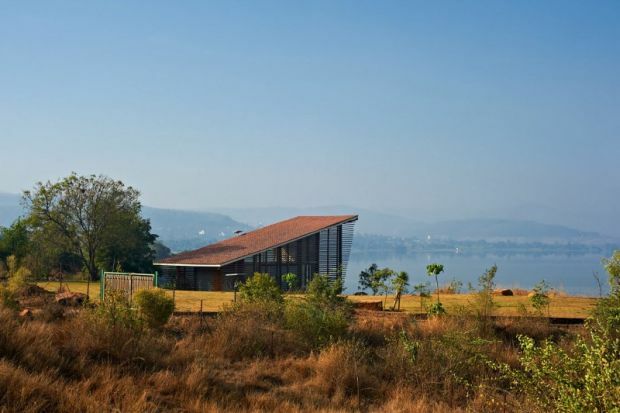 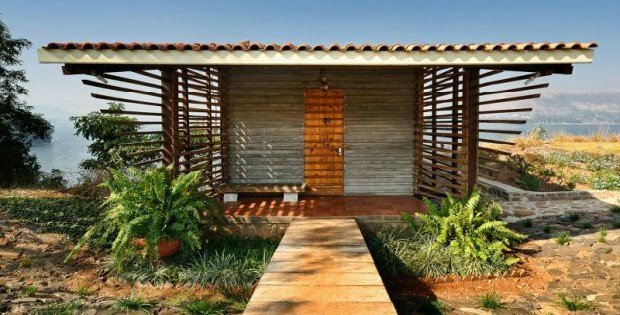 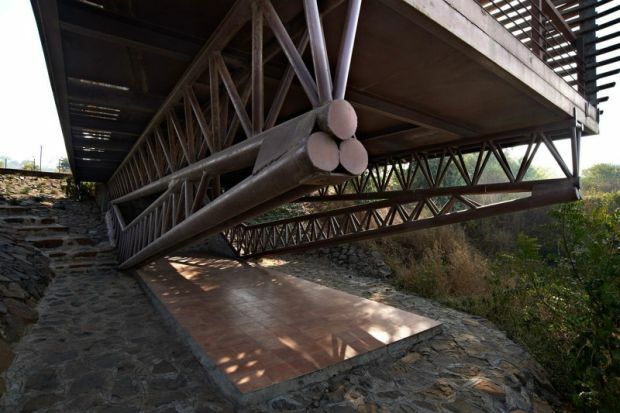 Located in Pune, India, it cantilevers out towards the water thanks to the assistance of a structural steel truss beneath, and meanwhile the ceiling slopes upwards creating a double height space at the front of the view. 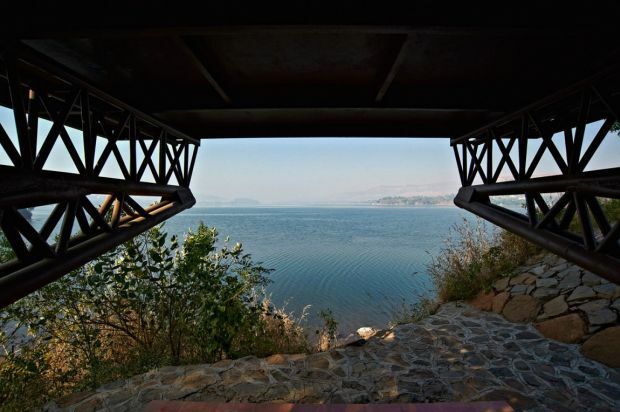 Enjoy these photos and tell us what you think on our facebook page!